A winch is a mechanical device that is used to pull in or let out the tension of a rope or wire. In its simplest form a winch consists of a spool and attached hand crank. Today, winches stand at the heart of machines making our lives easier. Get the job done faster and easier with a new winch from Mudflaps.com. Winches ditch the labor and hard work from most jobs by using powerful motors and extremely engineered designs. ENGO winches and WARN winches are perfect for your aftermarket truck, SUV or jeep. Most winches can bolt directly to your vehicle using a winch plate or by simply attaching to your front or rear receiver hitch. 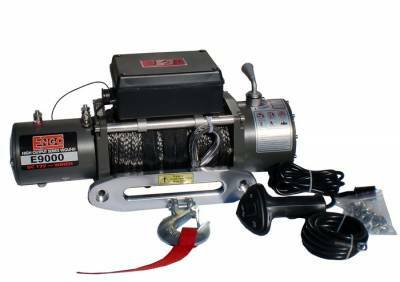 Today's market offers you a huge selection of winches that perform in a variety of different ways. If your looking to save some cash there are plenty of winches that can handle 12,000lbs to 15000lbs with durable long lasting performance. 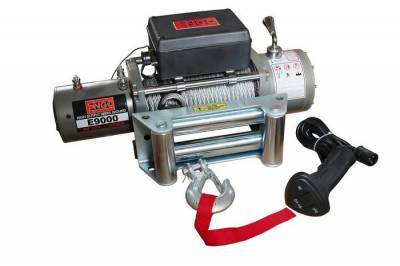 The best winches are made of higher quality materials that wont crack or snap over time. The difference between and entry level winch and a high performance winch usually comes down to the motor, materials, craftsmanship and rope. Mudflaps.com has the best selection of winches ranging Warn Winches (The King Daddy of Winches) to ENGO Winches (The best value winch on the market).